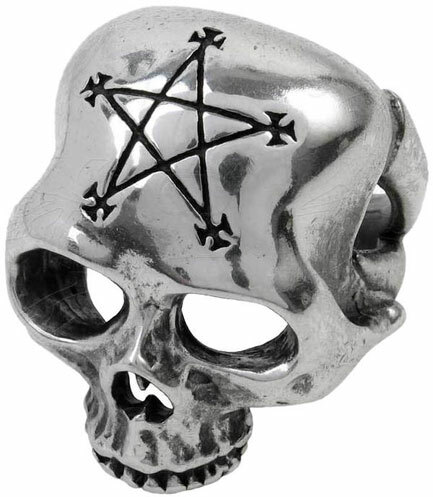 Skull ring with engraved pentagram symbolizing commanding of the underworld. Made of fine English pewter. Measures approximately 1.14 inches wide, 1.33 inches high and 1.33 inches deep. By Gothic Alchemy. This ring made by Alchemy of England is a very nice ring. 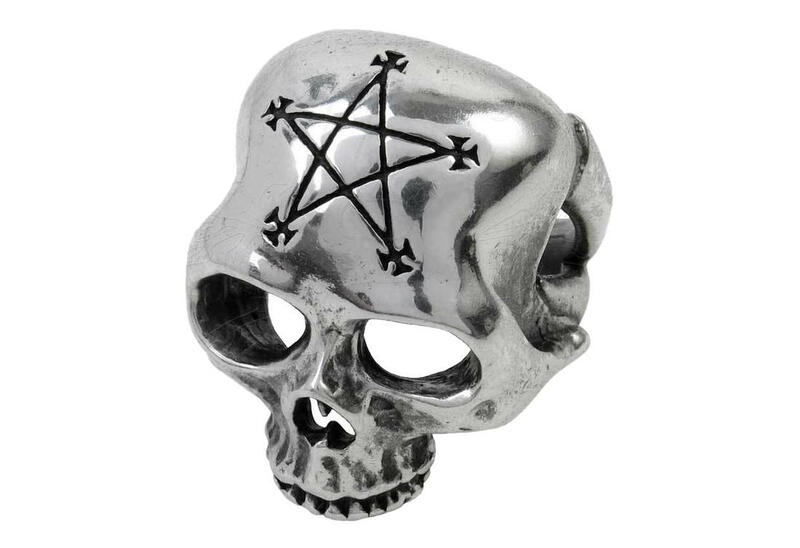 seen many many other skull rings but for some reason l have seen many other skull ring sold elsewhere but they did not look as nice and well made like this one.